Reward the winning department of a team competition to a ten or fifteen-minute massage. 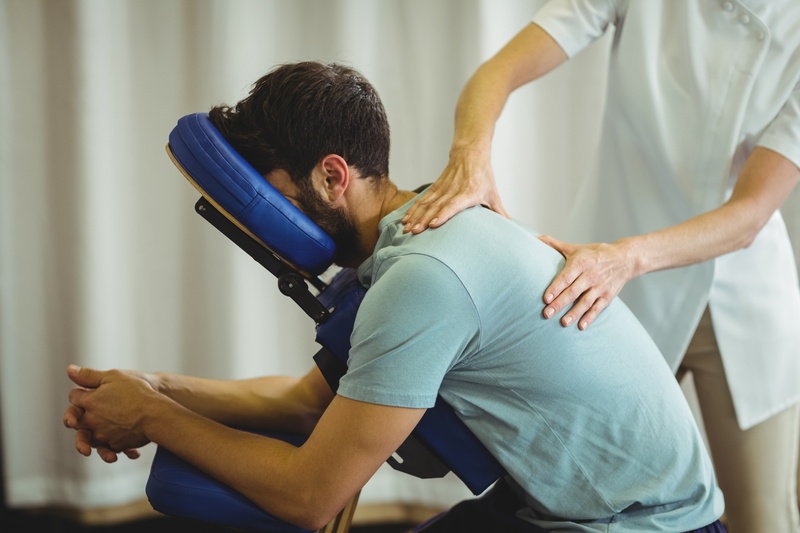 After a stressful and demanding project, contract for a day of chair massage to show your appreciation for a job well done, or substitute a congratulations in the office newsletter after a strong fiscal quarter with a sign-up in the break room for a complimentary chair massage. $1.25 per minute = $75 per hour. Plus $25 travel fee. Gratuity not included. 2 hour minimum service time (per therapist). Company Paid Package: The company is invoiced based on length of time that the massage therapist is reserved for.